Welcome, Dave! 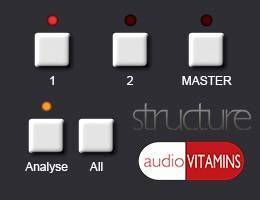 You’re the mastermind of Audio Vitamins, an interesting company of audio plugins. Tell us something about your company, how did you get started and what it makes special to other plugin-developers. My background starts out as a sound engineer, working with both live music and theatre, as well as recording different artists in studios. When working on a mix for someone I really wanted to be able to compare 3 different compressors but found myself reaching for the mouse and worrying about where I was clicking on the screen, rather than just listening to what each was doing, so I wrote an AppleScript to control ProTools, so I could let go of the mouse. It sort of worked, it cycled through the plugins had told it to load, but it was limited to ProTools and would not follow the bars and beats if I wanted to loop and compare the plugins on the same piece of music. So I got in touch with a developer and together we worked on Contra, which we released in April 2016. What makes Audio Vitamins special and different, is that I aim to never develop a compressor or EQ, there are too many out there. I want to focus on plugins that help with the creative process or make the workflow easier and save time. The release of your product Stochas, seems to be very unique. It‘s a MIDI composition tool, right? Please explain for which purposes it could be used and which features it contains. Yeah that is right, Stochas is midi step sequencer, with a randomising engine at the heart. Not only does is randomise which notes it will playback, from those inputted or recorded in via a midi keyboard, it will randomise the playback feel and groove, making it more humanised and natural sounding. It has a completely separate groove control as well so you can import groove templates from the classic drum machines or other midi tracks. Stochas can be used for a some really cool things, such as creating a drum pattern that feels like a drummer is freestyling and jamming away, an evolving string or pad section that always adds interest to the track to using the polyrhythm and poly-metric capabilities to create complex looping lead patterns and textures or another example, a bass guitar playing 5 evenly spaced notes in a 4/4 bar. (An example of something like, this is in the promo video for Stochas). There’s another interesting tool called Structure. What can people do with this? 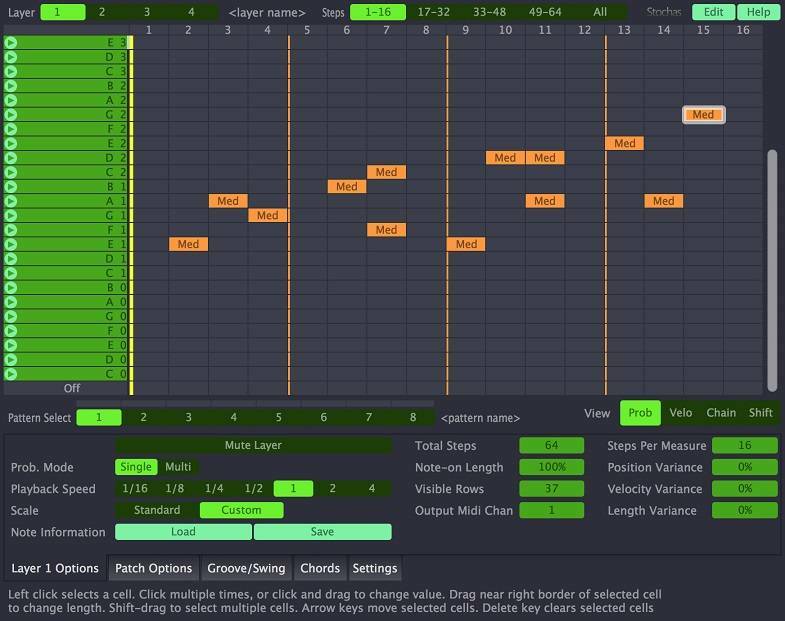 Structure is a time saving, workflow tool, when used it will help balance / gain-stage an entire mix, so rather than having to go through and adjust the gain settings on every instrument or recorded track, you just put it on every track, select if the track is an normal instrument or if it is a vocal or solo/lead instrument, select the loudest part of the song and press play on your DAW, after 7 seconds of analysing the LUFS levels, Structure acts like a gain/trim plugin and allows you to start mixing with your faders at 0 and all the tracks at a level where you can hear everything and begin to make better decisions on what needs to be done to achieve a great sounding track. We also have a setting for the master channel to help with keeping the gain structure right for sending into mastering plugins or to send to a mastering engineer, leaving loads of headroom for them to apply their magic. Life seems to be special effect-plugin. For which instruments is this effect suitable and how does it sound? Life is the first effect plugin we’ve worked on and was a fun one, because it can be used for loads of different ways, I personally use it on electric guitars, when I need to get them sounding really big but only have 1 recording and no way of getting another second track. Life can also be used to add some movement to pads and strings, as well as drums if you apply it to the highs (10k-12k+) on overheads, almost making it feel like the kit is moving around or the listener is dancing at a gig. Some users who make EDM, say that it’s great for creating short delays, with the pitch modulation section creating some really unique sounding leads. How many guys are involved in the development process and with which programs and coding languages are your working? Audio Vitamins is currently a small team of 3, Myself, I put the ideas down on paper and then hand them off to Jake Mills, an amazing young developer, who converts my ideas to a working version I can load up in a DAW. Stochas is a co-release project with an amazing developer and multi-instrumentalist, Andrew Shakinovsky. To answer your questions about programming languages and hopefully to inspire more developers, we are currently developing using the JUCE (C++) framework. How do you get your inspirations for creating such special tools? Normally I get stuck in the middle of a mix and think ‘I really need to do this’ or ‘I want this to sound this way’ and end up having to put several plugins together, to get the result I want, but then it’s never quite what I’m looking for. I then look at how I can combine the plugins to suit what I want, which is what happened with Life. The workflow tools normally come from being limited to working on a laptop and wanting to be back in a studio, with a large console where every control is in reach, without having to use the mouse or trackpad. Which kind of plugins could we expect next? New ideas, we are working on S.F.V (Space For Vocals) which is a bit like Structure, a workflow tool. For an effect, I’ve just finished the research on a plugin a bit like Life, but is for distortions. We are working on an exciting update to Stochas, which will mean it will be compatible with the session view in Ableton, so you can trigger different layers and patterns from a Push2 or other hardware controller. Also we are going to be overhauling Contra to include a few cool features that have been requested by users. I‘ve heard you‘re running an exclusive give-away for all the Noizefield readers. What do people need to do to get the prize and what could they win? We are giving away a three copies of Structure to three lucky people. All you have to do is fill in your name and email address here, –Audio Vitamins – Noizefield competition – The competition closes on 10th March 2018. Now you can tell us something that you always wanted to say. It is only fair to thank our customers, especially those who have sent me ideas and feature requests, as they’ve really been helpful making our plugins what they are now and giving us ideas for the future. For an unknown secret, I wanted to be a doctor growing up, until I cut open my thumb with a saw and feinted. I’m so grateful for that saw, because my life in the music industry has led me to working in Los Angeles, with amazing composers like Benjamin Waldfisch (Blade Runner 2049) to working on a cruise ship with the amazing cast and musicians performing in the hit musical Chicago.